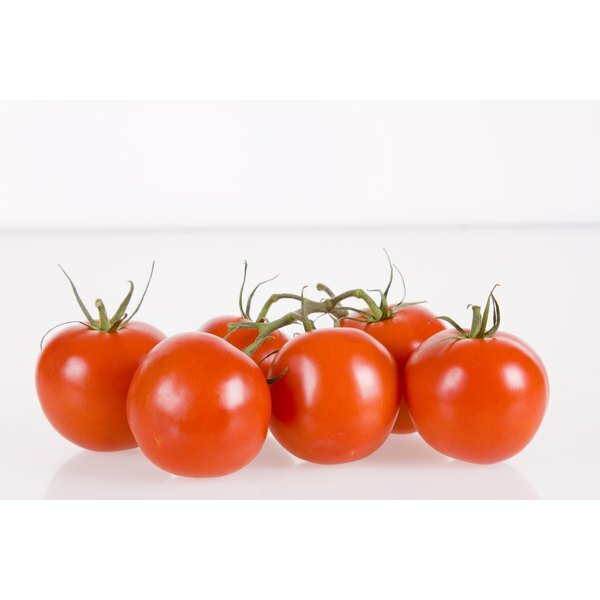 Lycopene is the naturally occurring pigment that gives certain types of fruits and vegetables color, such as tomatoes and watermelons. An antioxidant can prevent or delay certain types of cellular damage, including heart disease and cancer, according to the American Cancer Society. Lycopene capsules are typically administered twice daily with a meal. Discuss the side effects of lycopene capsules with your medical provider before you begin treatment with this supplement. Taking lycopene capsules may irritate your digestive tract and may cause upset stomach side effects. These side effects may include heartburn, nausea or vomiting, Drugs.com warns. Stomach discomfort caused by lycopene capsules may also result in a temporary loss of appetite. Eating a small snack or meal before taking a dose of this supplement may help prevent or limit the severity of stomach-related side effects. You may experience bowel movement changes, such as diarrhea, as a side effect of lycopene supplement treatment. Diarrhea is characterized by urgent, frequent bowel movements that yield watery stools. You may also develop abdominal bloating, cramping or pain in conjunction with bowel movement changes. Chronic diarrhea may increase your risk of becoming dehydrated and should be reported to your doctor promptly if it occurs. Prolonged or excessive use of lycopene capsules may cause skin discoloration, the ACS reports. If your body contains high levels of this carotenoid, you may notice that your skin appears unusually yellow or orange in color. This skin-related side effect of lycopene is temporary and subsides once treatment with this supplement ends. If you are allergic to lycopene or tomato-based food items, do not take lycopene capsules, Drugs.com advises. Improper use of this supplement by hypersensitive people may induce an allergic reaction. Symptoms of a severe allergic reaction necessitate prompt medical intervention and include hives, pale skin, dizziness, heart rate changes, facial swelling or breathing problems.